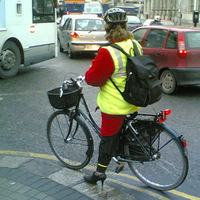 Cycling is a vulnerable mode in traffic terms. Safety is at the heart of all good design. The designer should ensure that the Principles of Sustainable Safety have been applied to all schemes. The principles of Sustainable Safety were developed in 1992, and in the following years in the Netherlands. They underpin all road design and the adherence to those principles has contributed to the Netherlands leading record in road safety. This manual subscribes to the principles of Sustainable Safety and has used them in the determination of content. The principle of functionality is that the design which is fit for purpose is safer. Urban streets, roads and spaces are always multi-functional. The functions are either movement or place related. It is important therefore that the designer understands and accommodates the functions applicable to the particular scheme. The principle of Homogeneity is that reducing the relative speed, mass and directional differences of different road users sharing the same space increases safety. This has a beneficial impact on the level and severity of accidents that might otherwise occur. Where the relative speed, mass or direction is not homogenous, different road users may need to be segregated. Relative Mass: In general, bicycles should not be positioned close to large vehicles. 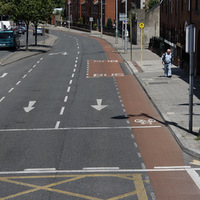 Bicycles are however frequently permitted within bus lanes where there is generally consistency in speed and diection, and the bus driver has been trained in relation to driving with cyclists.. Relative Direction: The most common directional issues occur where drivers turn left across cyclists or right across opposing cyclists, and when cyclists weave across traffic lanes. While these movements cannot be precluded, they must be accommodated in a controlled, low speed and legible manner. The principle of Legibility is that a road environment that all road users can read and understand is safer. A legible design will be self-evident, self-explanatory, and self-enforcing. Legibility is equally necessary in both mixed and segregated cycling environments, and is not therefore simply about lane markings and streaming traffic. 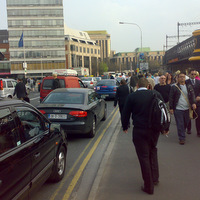 all potential conflicts are obvious and the resolution of the conflict is mutually understood by all road users. all road users know where to position themselves, e.g. 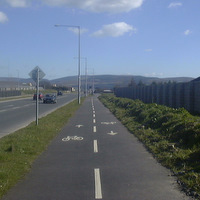 cyclists “taking the traffic lane” or using a dedicated lane or track. 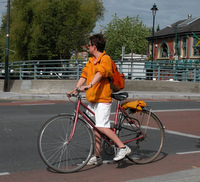 all road users are instinctively aware of the expected position and likely behaviour of all other road users. Ensure that each mode is properly positioned? The principle of Forgivingness (Passive Safety) is that environments that contribute to benign outcomes of accidents are safer. Physical hazards: Remove guardrails, protruding street furniture, gullies etc. 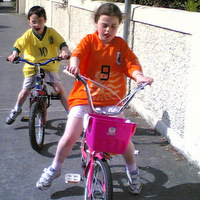 What are the risks to vulnerable road users? How forgiving are the principal conflict points? Does the accident database support this view? What information / training do road users need? The principle of Self-Awareness is that where road users are aware of their own abilities and limitations to negotiate a road environment, the environment is safer. Provide a higher Quality of Service close to locations where cyclists are less experienced or more limited, e.g. 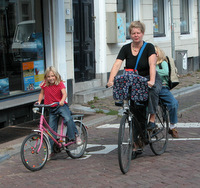 school children, parents with cycling trailers, tourists with panniers etc. Peak and Off-Peak – is the cycling challenge more difficult at different times of day or week?